Against this backdrop, ARC Advisory Group met with senior Yokogawa executives at the recent Yokogawa Users Conference 2018, Asia Pacific, in Bandung, Indonesia, to discuss Synaptic Business Automation, the company’s new guiding concept for its Industrial Automation & Control business. Synaptic Business Automation is the successor to Yokogawa’s well-known VigilantPlant concept. Due to its importance to the company, Synaptic Business Automation was the official theme of the Users Conference, where Yokogawa president and CEO, Takashi Nishijima, formally introduced the concept. Further presentations provided details on how Synaptic Business Automation supports coinnovation with customers, helps connect organizations and supply chains, and provides expert domain knowledge. With Synaptic Business Automation, Yokogawa is widening its scope from plant process automation to business process automation and, in so doing, aims to create sustainable value for customers. Synaptic Business Automation is Yokogawa's new concept for its Industrial Automation & Control Business. "Synaptic" (from biological synapses) represents timely and seamless sharing of information, while "Business Automation" represents automation moving beyond the plant process control level to create continuous business value for customers. Unveiled back in 2005, VigilantPlant laid down a path toward operational excellence in the then-current context of Yokogawa's offerings and capabilities. In addition to the company’s well-established control system and field instrumentation, VigilantPlant encompassed new functions, including process safety, alarm management, asset management, production management, and optimization. Yokogawa’s Industrial Automation & Control business’ approach to understanding and meeting current and future process industry needs and challenges. Enter Synaptic Business Automation. To understand this new concept, it’s best to break it down to its constituents. “Synaptic” relates to the biological structure that permits a neuron (nerve cell) to pass an electrical or chemical signal to other neurons. In an industrial context, Synaptic denotes the seamless communication and sharing of data and information between relevant entities such as the manufacturing plant, the supply chain, and the business enterprise to create sustainable value. “Business Automation” denotes Yokogawa’s new focus that extends beyond automating plant processes to considering a customer’s entire business. Synaptic Business Automation should be viewed in the context of Process Co-innovation, Yokogawa’s corporate vision first announced in 2015 and an integral part of the company’s Transformation 2017 business plan. The company opened its Singapore Co-innovation Centre in 2016 to jointly develop new industry solutions with selected clients and technology partners. This continues to be an important node in the Yokogawa R&D network. For industrial companies, navigating this new terrain requires an understanding of a myriad of new technologies, such as cloud computing, artificial intelligence, and Industrial IoT, as well as drivers like increased global competition and fluctuating energy prices, while meeting critical cybersecurity, plant safety, and sustainability requirements. For example, the downturn the oil & gas industry experienced in the middle of this decade severely constrained capital expenditures across many process industries, placing new emphasis on improving plant operational efficiency by maximizing the availability and performance of the existing assets. 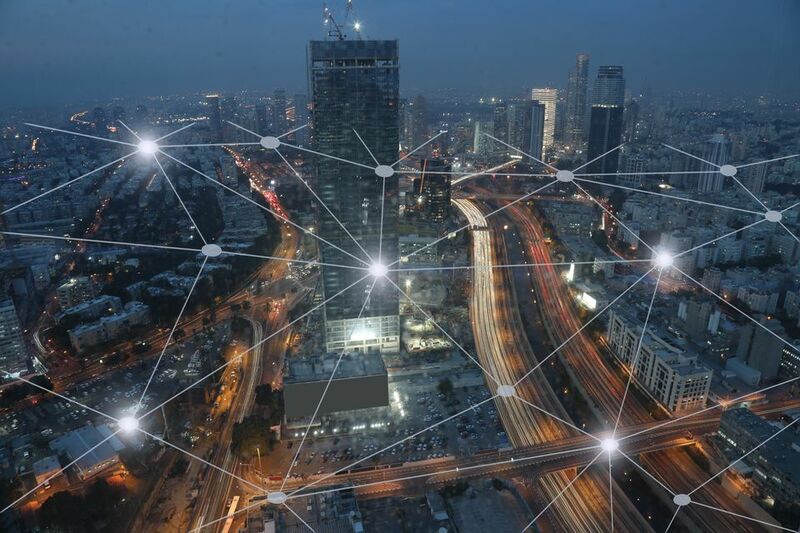 This led to interest in more sophisticated plant asset management approaches, such as predictive and prescriptive maintenance approaches, often using Industrial IoT technologies. Connecting plant assets to external parties, such as equipment manufacturers, service providers, and automation suppliers, provides a foundation for new business and service models. Remote pump diagnostics and “compressed-air-as-a-service” are two examples of new business models enabled by Industrial IoT. along with operational technologies (OT) like sensors, instrumentation, drives, valves, and control systems to increase plant efficiency, productivity, and performance. industrial plant. The automation suppliers that have long dominated this domain now find it beneficial to build new relationships with IT companies to more easily access the relevant technologies and tap into expertise. These relationships have been in forms such as technology licensing, alliances, and equity investments, all the way to outright acquisitions. Resilient Operation – improving clients’ operational resilience against heightened business risks emanating from factors such as increasing cybersecurity threats, regulatory compliance mandates, and more strenuous plant and personnel safety requirements. Optimized Production – reframing the (lengthy) operational phase of the plant as something much more than an afterthought to the capital construction phase and, accordingly, managing operational expenditures through initiatives such as Industrial IoT connections to critical plant assets. Business Innovation – leveraging relevant technologies and domain expertise to co-create new business models with customers and partners and introduce environmentally friendly manufacturing practices that are essential for a sustainable society. While strong customer relationships are an acknowledged enabler of business success, with Synaptic Business Automation, Yokogawa looks to take these relationships to even deeper levels through co-innovation activities. Yokogawa’s vigorous acquisition activities in 2016 greatly enhanced its ability to execute Synaptic Business Automation. These brought in industrial software technology and consulting expertise in the forms of Industrial Evolution(cloud-based, plant data sharing-as-a-service), KBC AdvancedTechnologies (oil & gas consulting services and process simulation technologies),and Soteica Visual MESA (energy management and optimization solutions). Both Industrial Evolution (now known as Industrial Knowledge) and SoteicaVisual Mesa have been integrated into KBC Advanced Technologies which,while firmly a part of Yokogawa, continues to operate under the KBC brand. Significantly, for the Synaptic Business Automation keynote presentation at the Yokogawa Users Conference, KBC’s Oscar Santollani, senior vice president,Visual MESA Software Business, shared the stage with Yokogawa’sShigeyoshi Uehara, vice president and head of IA Products and Service Business. Mr. Uehara outlined Synaptic Business Automation and framed the concept in the context of Yokogawa’s Enterprise Automation Architecture that convergesOT with IT. He also discussed the company’s domain knowledge,consulting capabilities provided via KBC, cybersecurity services, and unique plant sensing capabilities, such as those provided by the company’s new wireless Sushi Sensor. Mr. Santollani, in turn, discussed how the KBC Co-Pilot approach involving Visual MESA Energy Real-Time Optimizer (VMERTO),the Petro-SIM simulation tool, and expert consulting can help customers meet their sustainability-related challenges to optimize energy use and reduce emissions. Synaptic Business Automation represents a timely refresh for Yokogawa’sIndustrial Automation & Control Business. The focus on automating customers’business processes, rather than just internal plant processes,acknowledges that inefficiencies often cross organizational boundaries or can even extend out to the supply chain. While Yokogawa has always been a customer-centric company, the co-innovation aspect of Synaptic BusinessAutomation suggests an even deeper level of collaboration with both customers and technology partners. And with KBC Advanced Technologies, Yokogawa has access to proven software solutions and recognized process industry consulting expertise based on deep domain knowledge. The new focus on co-innovating solutions recognizes today’s reality that no one company has all the necessary technology and/or expertise to solve customer problems, and that collaboration between companies is increasingly required to deliver effective solutions in an increasingly complex process manufacturing environment. Like VigilantPlant, rather than just a slogan, Synaptic Business Automation represents a long-term, strategic approach for the Yokogawa Industrial Automation& Control business. As such, it will be important for the company to ensure that key stakeholders – notably its own staff − are well versed in the intention and ideals of this new concept. That will help enable SynapticBusiness Automation to enter and become part of the industry lexicon in much the same way as VigilantPlant did for well over a decade. For further information or to provide feedback on this article, please contact your account manager or the author at bgill@arcweb.com. ARC Views are published and copyrighted by ARC Advisory Group. The information is proprietary to ARC and no part of it may be reproduced without prior permission from ARC. For more information about Yokogawa Users Conference, please click here.